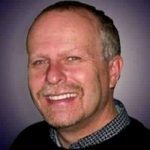 What Are the Important Considerations When Buying Projector For Church? 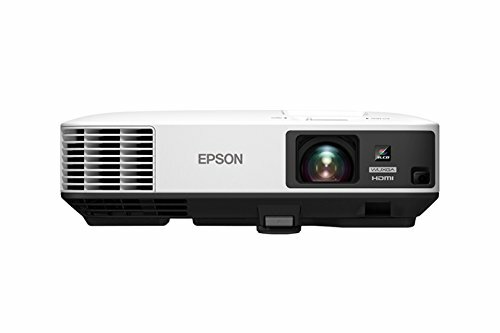 Anyone who has ever considered buying a projector for use at his or her church will want to learn about how these projectors can be of benefit and the pros of buying an Epson projector. While most people think that only businesses and business people need to have projectors in order to showcase projects that they are working on, this equipment is vital to a church as well. Having a high-quality projector on hand makes it easy for anyone to show videos, pictures, or presentations that he or she has made and has stored on their computers. In a church setting, this means that this projector can be used not only for classes and for meetings but also during services and presentations. This is a powerful projector that is designed to be very user-friendly, which means that it can easily be set up and controlled by someone who doesn’t have a lot of experience with this type of equipment. By buying and then using a projector, any church will be able to make meetings more interactive, showcase photos and videos from different events during services, and also bring to life various parts of a sermon. They are incredibly useful in a variety of ways and the Epson PowerLite 22550U is a great Epson projector that is not only powerful and durable but also surprisingly easy to use. There are a few important things that you must consider when looking to buy a projector whether it is for home use, for use in a business, or for use at a church. It can be difficult to research various projectors and find the right one for you but these considerations will make it easier. Resolution: The resolution refers to how many pixels are used to show an image. When a projector has a higher resolution, then the image itself will appear much cleaner and crisper. This is really important for high-definition video and photographs as well as showing detailed charts. Contrast Ratio: This is the difference between dark and light on a screen. A higher contrast ratio means that there will be a greater contrast between black and white, which results in more defined images that are brighter and sharper. Connections: There are a lot of connection options to choose from when shopping for a projector. HDMI, USB, VGA, and Display Port are all common options. Wireless or Wired: It’s also very important to make sure that you choose a projector that will work with your needs. No matter if you prefer a wireless setup or want to connect the projector to your computer, there is an option for you. 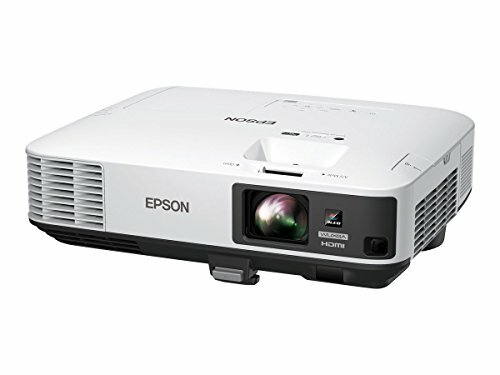 One of the main reasons why the Epson PowerLite 22550U is the best projector for use in a church is because it is rated at 5000 lumens. This is a portable projector and most portable projectors simply aren’t rated this high in both color and white lumens. 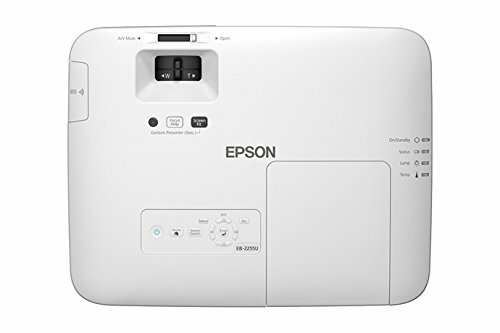 This means that when you use the Epson PowerLite 22550U, you will enjoy incredible contrast and will experience bright, vibrant colors in your videos and your photographs even in very large venues or rooms. It also is powerful enough to be used in brightly-lit rooms without the projections looking faded or washed-out. Thanks to the impressive 15,000:1 contrast ratio, you will enjoy impressive clarity no matter what graphics or text you want to display. This projector is perfect for showcasing videos and photographs and won’t ever cause anything to look blurry. With full mirroring capabilities, users can stream desired content from their tablets or smartphones. Gone are the days of having to have a computer set up near the projector in order to showcase a project, presentation, or video. Additionally, it features a split screen feature that makes it easy to show two images at the same time from two different sources. As you can see, there is a lot to like about the Epson PowerLite 22550U. One of the top pros of this product is that it has such an impressive resolution. The 1920×1200 Full HD widescreen resolution is top of its class and showcases an astonishing 2,304,000 pixels. Additionally, the Epson PowerLite 22550U only weighs 10.1 pounds. This means that it is small and light enough to be easily taken from one room in the church to another. This is great for taking it from a practice room to the sanctuary for a presentation. It can reproduce up to 1.07 billion colors, making it one of the most true-to-life projectors available. Finally, although it can operate wirelessly, it easily plugs into the USB port on both PC and Mac computers. There are a few cons to be aware of when buying the Epson PowerLite 22550U. The first is that it has been known to overheat for some users. This can make it very difficult to finish a presentation and is very frustrating. Another con is that the Epson PowerLite 22550U is priced a bit higher than some other portable business projectors. However, the increase in price is easily understood by anyone who takes time to consider the quality of this projector. 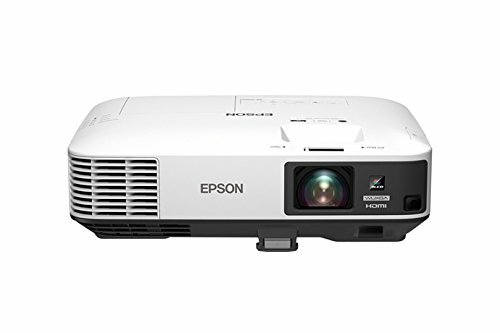 The Epson PowerLite 22550U is one of the most powerful portable projectors on the market today and is designed to be incredibly easy to use, which makes it great for use in a church as there will likely be a variety of people needing to use it. Thanks to how easily it connects wirelessly to computers and how quickly it can be plugged in via USB, this is a projector that most people will feel comfortable using. Additionally, it boasts incredibly accurate color, which means that photographs, videos, and text will all look true to color and won’t appear washed out or too dark even when the projector is used in a very brightly lit room. Thanks to the remote management and the control tools, users can easily monitor their networked projectors, which is great for larger churches that are going to invest in more than one Epson PowerLite 22550U. Finally, this projector features a very long-lasting lamp. It can run for up to 10,000 hours when used in ECO Mode. Even when used in normal mode, the lamp life is up to 5000 hours. This reduces the overall cost of operating this projector and also decreases any worry about performing regular maintenance on the equipment.